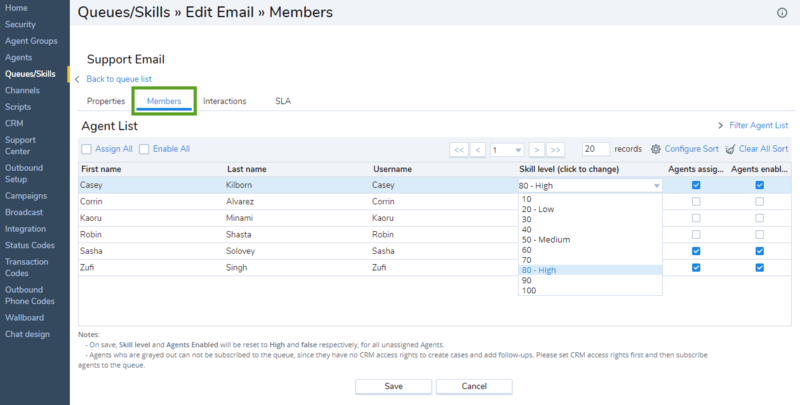 When you assign members to an email queue, you allow the members to receive emails that enter the queue. The queue uses skill-based routing to route the emails based on the agents' skill sets. An agent with a higher skill level receives an interaction before an agent with a lower skill level does. Go to Queues/Skills > Email > Members to add, modify, or remove agents. Find the email queue you wish to assign members to, and click .